We all know that Fort Walton Beach and the surrounding areas along the Emerald Coast are known for their beautiful beaches and white sugary sand, but we also realize that it might not be for everyone. 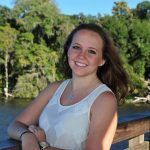 If you find yourself longing for some adventure and want to experience some of the “non-touristy” things that the Florida Panhandle has to offer, then look no further. We’ve made a list of our favorite unique things to see and do near Fort Walton Beach. Nestled in the pine forests of Santa Rosa County, Florida, the Arcadia Mill Archaeological Site is the first and largest industrial complex in the area. Originally built in the 19th century, the industrial preservation encompasses over 200 years of history. Arcadia Mill preserves the cultural heritage of an industrial center during the antebellum period lumber boom. 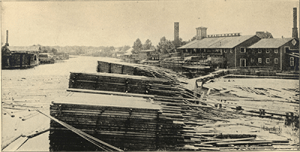 The industrial village included a sawmill, a lumber mill, the Arcadia Pail Factory, a shingle mill, textile mill, as well as one of the first railroads chartered in territorial Florida. 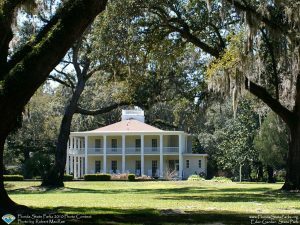 The Eden Gardens State Park in Santa Rosa Beach, FL features what was once the home of William Henry Wesley as part of the 163 acre state park. The two-story home surrounded by moss-draped live oaks features beautiful white columns and a wrap around porch. The mansion was built in 1897 on land that was part of the Wesley property. The homestead was once the site of the Wesley Lumber Company, which was in business from 1890 until after World War I. After taking a guided tour of the Wesley House, visitors can take a stroll around the gardens, enjoy a picnic, or spend time fishing off the dock in Tucker Bayou. 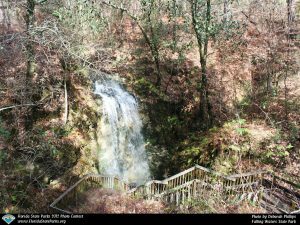 What was once the site of Florida’s first oil well, visitors now walk past fern-covered sinkholes down the boardwalk of Sink Hole Trail that leads to Falling Waters Sink, the highest waterfall in the state. The small stream that flows through the state park empties into the 100-foot deep, 20-foot wide cavern and drops 73 feet to the bottom of the sinkhole. According to park officials, the water’s final destination is still a mystery. On a sunny day you’ll see visitors enjoying a swim in the lake, setting up a family picnic, or hiking through the mossy woods of the Florida Panhandle. The Heritage Park & Cultural Center is a foundation focused on the preservation and education of the history of the Fort Walton Beach community and the Northwest Florida area from 14,000 B.C. through the 1950’s. The center offers exhibits, educational programs, publications and special events for guests to experience the long standing traditions of the Florida Panhandle. The Heritage Park & Cultural Center is comprised of the Fort Walton Temple Mound, the Indian Temple Mound Museum, Camp Walton Schoolhouse Museum, Carnier Post Office Museum, and the Civil War Exhibit. The park is centered around the prehistoric Fort Walton Beach Temple Mound. The mound is considered a historically significant structure built by the Native Americans of the Mississippian culture that inhabited this community. The platform mound was believed to be built as a ceremonial and political center of a large mound group that was built along the shores of Santa Rosa Sound. Adjacent to the mound is the Indian Temple Mound Museum, which was founded in 1961. The museum is home to over 1,000 artifacts of stone, bone, clay and shell that depict 12,000 years of Native American culture. Other exhibits feature artifacts from the European Explorers, local pirates, and early settlers of the Florida Panhandle area. All other Heritage Park & Cultural Center museums are located within a one minute walk around the base of the mound. The historic Camp Walton Schoolhouse Museum showcases historical items that portray the early history of Camp Walton and the education system during the early 1900’s. The old schoolhouse was originally built across the street from the present day Chamber of Commerce, but has moved three times throughout the years. Located directly behind the schoolhouse is the Garnier Post Office. The post office was built in 1918, which makes it one of the oldest surviving post offices in the Florida Panhandle. The historic post office that once served as an early voting precinct now displays items depicting the early postal era of America from 1919 and 1956. 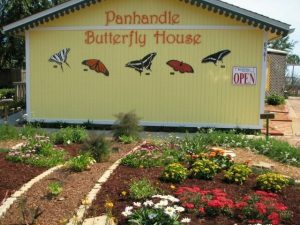 Jack and Fonda Wetherell founded the Panhandle Butterfly House in 1997 as a way to increase the public’s awareness of butterflies and their important role in the environment. Today visitors get to interact with native Florida butterflies close up as they feed on locally found plants. Everywhere you look there are caterpillars enjoying some of their favorite food, and if you’re lucky you can spot pin-sized eggs or even see a butterfly emerging from its chrysalis. The interactive exhibit of the Panhandle Butterfly House strives to give visitors a better understanding of butterflies and the natural habitats of these beautiful creatures. Each of these places offers a unique experience that you won’t get from only visiting the traditional tourist attractions. 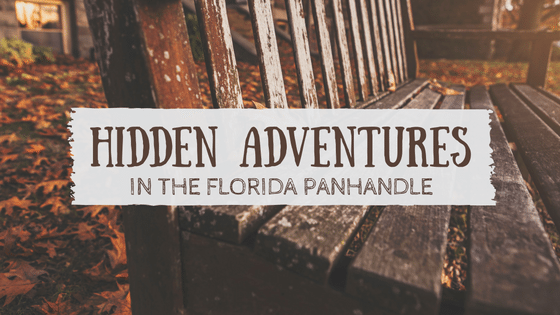 So now it’s time to grab your bags and head to the Florida Panhandle, your hidden adventure awaits!